Our addiction to our phones is about more than just ourselves. 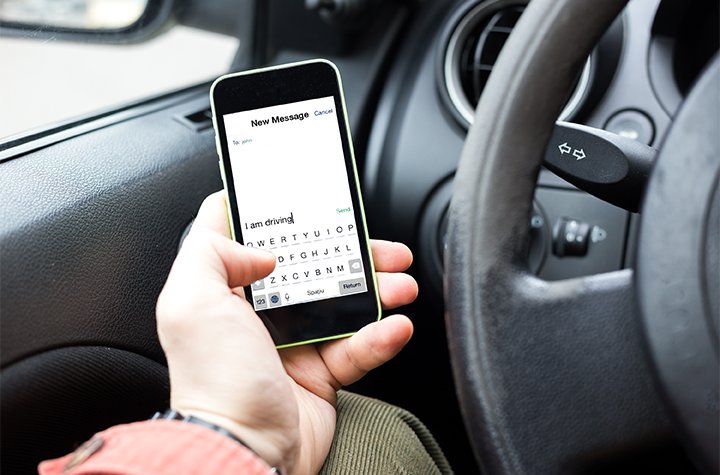 Studies have shown that just over a quarter of all car crashes involve a driver using his or her cell phone. The compulsion to communicate and check news at all times is one of the biggest threats to road safety. Montrealer Patrick Dubois knows that as well as anyone. His nine months-pregnant girlfriend was hit in her car nine years ago by a careless driver who approached an intersection without braking—all because the man was texting and running late. Luckily neither she nor the baby suffered any serious harm. But the incident still left a sour taste in Dubois' mouth, so he did something about it. Working off of the concept introduced by the Interlock breathalyzer system, which requires drivers to register a legal blood-alcohol level before, Dubois was spurred to develop a gadget that would combat texting and driving in a similar manner. His efforts resulted in the creation of RoadBudee, a device that won't allow a car's engine to start or run unless the driver's cell phone is plugged into it. Like other hands-free systems, it allows drivers to talk on the phone. What sets it apart, however, is that it temporarily stops the driver from being notified about texts and emails, sending out a message reading "I can't text right now" to whoever has contacted him or her. Every RoadBudee customer will have their devices installed by a certified technician. They will also receive a small, simple-to-control, coin-shaped electronic piece that allows them to control phone calls and view the GPS without being significantly distracted from the road. Currently RoadBudee costs $150 to purchase. Eventually though, Dubois hopes to partner with insurance companies and have them offer discounts to customers using the technology.